Tier1FX is the Foreign Exchange division of Hogg Capital Investments Ltd, a fully licensed and regulated Investment Services Company authorized by the Malta Financial Services Authority (MFSA - registration number C 18954) and passported in Europe under MiFID II (EU Markets in Financial Instruments Directive). To view the license, please visit this link. Tier1FX is fully compliant with MiFID and MiFID II (Markets in Financial Instruments Directive) and ESMA ( European Securities and Markets Authority) regulations and enjoys Freedom of Services and Establishment within the European Union. Tier1FX is the online trading and brokerage division of Hogg Capital Investments Ltd, a fully licensed Category II Investment Services Company (registration number IS18954) authorized and regulated by the Malta Financial Service Authority (MFSA) and located at The Shackleton Building, Blue Harbour, Ta’ Xbiex Seafront, Ta’ Xbiex, XBX 1027 Malta. The company’s investment services license falls under the definition of relevant financial business in terms of the Prevention of Money Laundering and Funding of Terrorism Regulations (PMLFTR) and, therefore, the company fully complies with such legal requirements. In adherence to PMLFTR and FIAU’s Implementing Procedures, the AML&TF guidance notes are issued to all the Company’s employees. Tier1FX commits to perform detailed KYC and background checks on potential clients as well as performing ongoing due diligence procedures on existing clients and it reserves the right to refuse the acceptance of a client or the processing of a client’s transaction at any stage where it has arrived at a reasonable opinion that the client or the transaction may be connected in any way to money laundering or criminal activity. If you wish to obtain further details on our AML processes and assessment of prospective client, please contact compliance@tier1fx.com. Hogg Capital Investments participates in and contributes to the Investor Compensation Scheme established in terms of the Investor Compensation Scheme Regulations. The Scheme is based on the EU Directive 97/9 on investor-compensation schemes. It serves as a rescue fund of failed investment firms for retail investors as well as smaller businesses, charities and trusts (excluding Professional Clients as per MiFID categorization). The purpose of the Scheme is to grant the right to claim compensation under the Scheme to any Retail investor “who has entrusted money or instruments to a license holder in connection with licensed business.” The compensation is paid only if the Investment Services Licence holder ceases to conduct its business due to financial difficulty or insolvency. The total amount of compensation that may be paid out to an investor is calculated at the lesser of ninety percent (90%) of all claims which have been made by such investor, or up to €20,000. All computations and payments of compensation are made in the same currency as the investor’s investment. An investor may only submit one claim in respect of all his investments, taken in aggregate, with the license holder concerned. Compensation schemes are intended to guard against the failure and insolvency of individual institutions which may give rise to a negative domino effect potentially affecting otherwise prudent institutions. For further information on Investor Compensation Scheme, please visit this link. 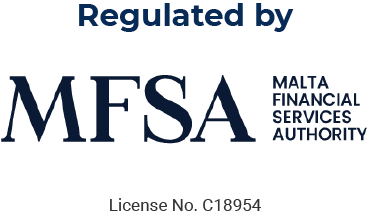 All client funds are held by Tier1FX pursuant to the laws of Malta, MiFID regulations and the rules and regulations of the Malta Financial Services Authority. Your “free cash balance” ~ funds not currently committed as collateral to margin open positions ~ is maintained in a segregated client’s designated accounts held with our qualified and approved banking institutions. Your funds are held in omnibus segregated accounts collectively with other Tier1FX clients and these accounts are separate from and never commingled with Tier1FX’s own corporate funds. As such, in the event the Company should become insolvent your funds would not be available to its creditors. Funds in segregated accounts are often referred to as being “ring fenced” for protection. Tier1FX holds clients’ settlement accounts with leading qualified banking institutions, based upon their respective professional criteria, including their international credit ratings, their financial robustness and the jurisdictions in which they are licensed to operate.